Thank you for your interest in being a Beta tester for Sonos! You acknowledge that you are participating in a Sonos Beta program and the info you learn as a tester is confidential and cannot be shared. The information you provided in the Sonos Beta recruitment survey is accurate. You are not a member of the press, nor an employee or representative of any competitor. You won't disclose your role or work as a Beta tester to any member of the press, any public news group, or any third party. You will reasonably respond in a timely manner to Sonos’ requests for feedback. You license Sonos to freely use the feedback and suggestions you provide. IF YOU AGREE TO THESE CONDITIONS, PLEASE READ THE TERMS OF THIS BETA TESTER AND CONFIDENTIALITY AGREEMENT ("AGREEMENT") GOVERNING THE USE OF THE SOFTWARE, RELATED FIRMWARE AND HARDWARE PROVIDED TO YOU BY SONOS, INC. ("SONOS"). BY INDICATING YOUR ACCEPTANCE OF THESE TERMS AND SELECTING THE "I AGREE" BUTTON AS IT APPEARS IN THE SONOS APP OR IN THE BETA RECRUITMENT SURVEY, YOU ARE (1) REPRESENTING THAT YOU ARE OVER THE AGE OF 18, (2) REPRESENTING THAT YOU HAVE THE RIGHT AND AUTHORITY TO LEGALLY BIND YOURSELF TO THESE TERMS, AND (3) CONSENTING TO BE LEGALLY BOUND BY ALL OF THE TERMS OF THIS AGREEMENT. THIS WILL CREATE A BINDING AGREEMENT. IF YOU DO NOT AGREE TO ALL THESE TERMS OR CANNOT MAKE SUCH REPRESENTATIONS SELECT THE "I DO NOT AGREE" BUTTON AS IT APPEARS IN THE SONOS APP OR IN THE BETA RECRUITMENT SURVEY AND DO NOT USE THE PRODUCTS OR MATERIALS. 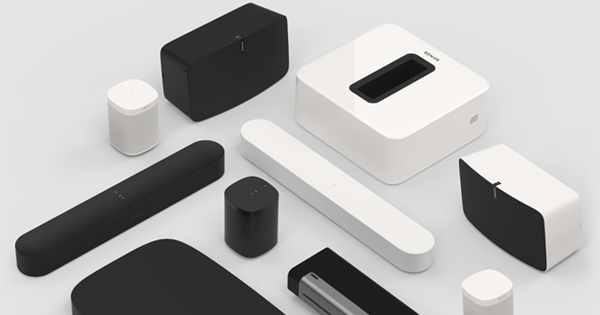 A. Sonos is developing a certain digital audio product (referred to herein as the "Beta Product") to complement its existing set of commercially available digital audio products (the "Products"). As a tester you will receive from Sonos hardware, software, products, documentation, equipment, or other material, (the "Sonos Materials"). B. The Beta Product is currently still in development and experimental form. You have agreed to test and evaluate the Beta Product in your home in accordance with the terms of this Agreement to assist Sonos in the completion of the Beta Product. Confidentiality. You agree to keep confidential and not disclose or discuss to any third party: a) The Beta Product, b) Sonos Materials, c) Sonos development or marketing plans that you learn about as part of your participation as tester, d) your participation in the Beta program, and e) verbal or written communications from Sonos employees, agents, contractors or other representatives regarding Sonos Materials and the Beta Product. The confidentiality requirements continue until all of the above become publicly known. No Conflicting Loyalty. You represent that neither you nor any household member is: a) a member of the press or any public newsgroup, or b) an employee or representative of any competitor of Sonos. You represent that the information provided in your Sonos Beta recruitment survey is accurate. Feedback. You will provide prompt feedback to Sonos regarding the operation or use of Sonos Materials when it is requested. This may include filing online reports, participating in telephone interviews, maintaining a record of problems or errors, providing suggestions and ideas, and responding to written surveys or email homework that may be provided by Sonos. If an issue requires examination of the Sonos Materials provided by Sonos you will ship the equipment to Sonos within 48 hours of receiving the request, at Sonos' sole expense. You acknowledge and agree that Sonos may use, disclose, reproduce, license, distribute and otherwise commercialize such feedback. You hereby grant to Sonos all required licenses in your feedback and the associated intellectual property rights to allow Sonos to carry out these rights. Grant of License to Test. Subject to the terms and conditions of this Agreement, Sonos hereby grants You a personal, nonexclusive, nontransferable and revocable license to use the Beta Product at your home address. Your license will be valid only during the time that you are an active participant in any Sonos Beta Program solely for the purposes of testing and evaluating the Beta Product to assist Sonos in the completion of its development, and not for any commercial purpose or use. You agree not to reverse engineer, disassemble or decompile any prototypes, software or other tangible objects which are provided to you hereunder. DISCLAIMER OF WARRANTIES. You acknowledge and agree that: (a) the Beta Product is not complete in development and has not been commercially released for sale by Sonos; (b) the Beta Product may not be fully functional, and it is expected that it will contain errors, design flaws or other problems, including problems that may adversely impact the operation of your existing Products; (c) the Beta Product may not be reliable during the time you are participating as a tester in the Sonos Beta Program; (d) the Beta Product has not passed any required regulatory tests, including without limitation FCC, UL or other equivalent tests; (e) the Beta Product and its use may result in unexpected results, loss of data, electrical failures or other unpredictable damage or loss to you; (f) Sonos is under no obligation to release a commercial version of the Beta Product; (g) you have received the necessary consents and approvals from the owner(s) of any premises where the products will be used/tested in the manner requested by Sonos; and (h) Sonos has the right to unilaterally abandon development of the Beta Product at any time and without any obligation or liability to you or any third party. You further acknowledge that you have paid no consideration to Sonos for the Beta Product hereunder, and that THE BETA PRODUCT IS BEING SUPPLIED TO YOU "AS IS". SONOS MAKES NO WARRANTIES REGARDING THE BETA PRODUCT, EXPRESS OR IMPLIED, AND EXPRESSLY DISCLAIMS ALL SUCH WARRANTIES, INCLUDING BUT NOT LIMITED TO THE IMPLIED WARRANTIES OF MERCHANTABILITY, FITNESS FOR A PARTICULAR PURPOSE AND NON-INFRINGEMENT. Ownership. You acknowledge and agree that Sonos and/or its suppliers own all right, title and interest in and to the Beta Product and in any and all intellectual property rights therein, including but not limited to any and all copyrights, patents, patent applications, trade secrets, trademarks and other intangible rights therein. You agree not to use Sonos' trademarks or other business names for any purpose. You will not earn or acquire any rights or licenses under any copyrights, patents, trade secrets, trademarks or other intellectual property rights on account of this Agreement or your performance under this Agreement. 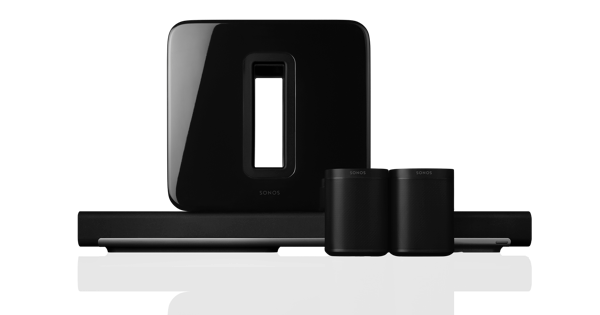 To the extent that Sonos provides you Sonos Materials or Beta Products, you agree that all Sonos Materials are and remain the sole and exclusive property of Sonos. You further agree, upon request of Sonos, to return any Sonos Materials at the end of the Beta test at Sonos’ expense. You agree to promptly disclose and hereby assign to Sonos any suggestions for change and/or improvement to the Beta Product and any related rights thereto and to assist Sonos, as reasonably requested by Sonos and at Sonos' expense, in obtaining intellectual property protection relating to such suggestions as Sonos may reasonably direct. Limitation of Liability. IN NO EVENT SHALL SONOS BE LIABLE TO YOU OR ANY OTHER PARTY FOR DAMAGES OF ANY KIND ARISING FROM INSTALLATION OR USE OF THE BETA PRODUCT, WHETHER RESULTING FROM A TORT (INCLUDING NEGLIGENCE), BREACH OF CONTRACT, WARRANTY OR OTHER FORM OF ACTION, INCLUDING BUT NOT LIMITED TO DIRECT, INDIRECT, SPECIAL, INCIDENTAL AND CONSEQUENTIAL DAMAGES, OF ANY KIND ARISING IN ANY WAY OUT OF THIS AGREEMENT, EVEN IF ADVISED OF THE POSSIBILITY OF SUCH DAMAGE. THE PARTIES AGREE THAT THE FOREGOING LIMITATION OF LIABILITY IS MATERIAL TO THIS AGREEMENT. Privacy. For purposes of this Beta test program, you agree to allow Sonos, its employees or agents to contact you using the personal contact information you have provided, such as your name, email, address, and telephone number. Sonos may store or share this personal contact information with Sonos employees, agents or authorized contractors in order to communicate with you. Sonos may use, collect, or store information generated from your testing and use of the Sonos products and materials being provided to you under this Agreement including voice data and recordings used to improve the overall voice command/ Sonos skill service (“Usage Data"). Sonos may disclose, share, redistribute, or publish such Usage Data. If you are outside of the United States, you understand and agree that personal contact information and Usage Data will be transferred to the United States and stored on servers in the United States, subject to laws applicable in the United States. Termination. This Agreement will automatically expire at the end of your participation as a Sonos Beta Program tester unless terminated sooner in accordance with this Agreement, and in any case shall expire not more than five (5) years after the date of this Agreement. Either party may terminate this Agreement before the end of your participation in the Sonos Beta Program for any reason or no reason upon written notice to the other party. This Agreement will automatically terminate upon any breach by you of any of your obligations hereunder including breach of confidentiality obligations. Your breach of any of your obligations under the Agreement may result in your immediate removal from the Sonos Beta program(s). Upon request from Sonos, you will deliver to Sonos, or otherwise make available for pick-up by Sonos at your premises, the Beta Product and Sonos Materials and any other tangible Sonos property. Miscellaneous. This Agreement may not be assigned by you without the prior written consent of Sonos, and any attempt to assign without such consent shall be null and void. You acknowledge that the Beta Product licensed hereunder is subject to the export control laws and regulations of the United States, and any amendments thereto. You warrant that you will comply in all respects with United States exports laws and regulations. This Agreement shall be governed by the laws of the State of California, without reference to its conflict of law principles. You consent to the jurisdiction of the federal and state courts sitting in the State of California. This Agreement constitutes the entire agreement between you and Sonos with respect to the subject matter hereof, and supersedes all prior oral or written understandings, communications or agreements not specifically incorporated herein. If any provision of this Agreement is found to be invalid or unenforceable pursuant to judicial decree or decision, the remainder of this Agreement shall remain valid and enforceable according to its terms. You acknowledge that any breach of your obligations under this Agreement with respect to the proprietary rights of Sonos will cause Sonos irreparable injury for which there are inadequate remedies at law, and, therefore, Sonos will be entitled to equitable relief in addition to all other remedies provided by this Agreement or available at law or in equity. 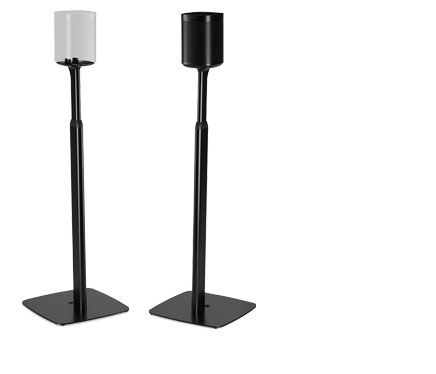 For inquiries or questions regarding this Agreement or the Beta Product, please contact betacommunity@sonos.com.